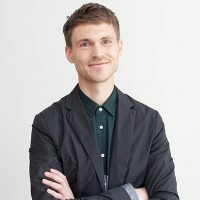 Finn Williams is Co-founder and CEO of Public Practice, a social enterprise that is building the public sector’s capacity for proactive planning. He previously worked for the Office of Metropolitan Architecture, General Public Agency, Croydon Council, and the Greater London Authority. Finn sits on the Raynsford Review Task Force, Labour Planning Commission, PAS Board and RIBA Planning Group. He is a Visiting Professor at the Institute of Innovation & Public Purpose at UCL, a tutor at the Royal College of Arts, and was co-curator of the British Pavilion at the 2016 Venice Architecture Biennale.